Grand Central Publishing, 9781455550692, 384pp. In this New York Times bestseller, retired LAPD detective Harry Bosch wants justice for a murdered production assistant -- but without his police badge, can he take down a powerful and ruthless killer? The vision has haunted him for four years -- a young woman lying crumpled in death, her hand outstretched in silent supplication. Harry Bosch was taken off the Angella Benton murder case when the production assistant's death was linked with the violent theft of two million dollars from a movie set. Both files were never closed. 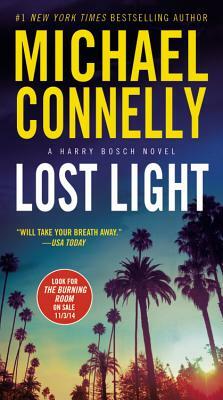 Now retired from the L.A.P.D., Bosch is determined to find justice for Angella. Without a badge to open doors and strike fear into the guilty, he's on his own. And even in the face of an opponent more powerful and ruthless than any he's ever encountered, Bosch is not backing down. Michael Connelly is a former journalist and author of over twenty books, including the bestselling Harry Bosch series. His novels Blood Work and The Lincoln Lawyer have been made into major motion pictures. He has won numerous awards for his journalism, as well as an Edgar Award, a Nero Wolfe prize, a Macavity Award, an Anthony Award, and the 2009 Carvalho Prize for his books. Michael Connelly lives in Florida.